Thanks to Jadeja’s gritty 86*, India got closer to England's first innings score of 332. 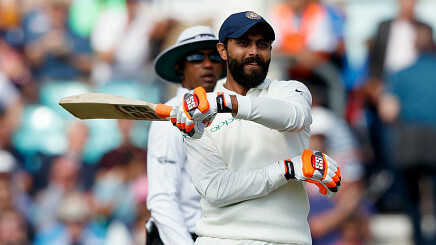 Ravindra Jadeja marked his return to India’s Test team by scoring an unbeaten 86 during the third day of the fifth Test against England at The Oval. Thanks to Jadeja’s gritty knock, India posted a decent first innings total of 292. 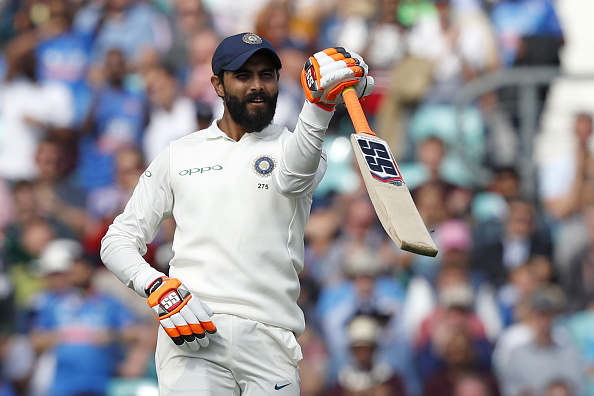 When India were tottering at 160/6, Jadeja along with debutant Hanuma Vihari stood tall against the English pace attack and made sure that India got closer to England's first innings score of 332. After the tourists started the third day on 174/6, England were frustrated in their attempts to make a breakthrough. Jadeja and Vihari flourished in a 77-run stand until Moeen Ali struck, having the former caught behind pushing forward for 56. Following the departure of Vihari, Jadeja batted exceptionally well with the tail-enders. He farmed the strike beautifully and forged a 32-run partnership for the tenth wicket with Jasprit Bumrah. Earlier, Jadeja had picked up 4 wickets in England’s first innings. Twitter experts were mighty impressed with Jadeja’s awe-inspiring show with the willow on Test return. In fact, Jadeja’s all-round performance prompted a few to even question his omission from the playing XI for the first four Tests. Ind’s last wkt frustrates Eng no end...mediocrity of English Captncy surfaces ever so blatantly..good job R Jadeja knocks Indn think tank w/plenty o guts & gusto..Oval Test could well produce more heroics..let’s wait w/abated breath..!! !